Hindsight can be a wonderful thing…or a torturous thing, depending on what you are looking back on. When you are looking back on a very long career in the same industry, there’s bound to be a few places where you’d rather have done something slightly different. At the exact opposite end of a very long career I find my daughter, my son and my daughter-in-law. All three are in the very early stages of their professional lives. All three are learning the basics of “doing life” in the real world. I have a very real interest in seeing them succeed, and in helping them in any way I can. That help typically comes in the form of conversations and advice – sometimes when they seek it; many times, when I offer it unsolicited… I can’t help it. I guess it’s the dad in me wanting to see them all grow and prosper on their own. And when I say prosper, I am not just talking about the financial variety. Or just about the corporate variety. I have a friend who once worked as a hospital chaplain. He talked about a visit with a gentleman who was nearing the end of his life. The man shared that he’d run his own business that became extremely successful. Yet for years, decades actually, his highest priority was growing that business. The man shared that he’d lost his family as a result of the long hours away from home and inattention when he was at home. He also shared that his health deteriorated due to his intense travel and constant stress professionally–which turned him onto alcohol and smoking for relief. But the comment that stood out in the conversation with him was this: “I’ve gotten to the end of my life and I realize the ladder I’ve been climbing was leaning against the wrong wall.” Think about that one for a moment. 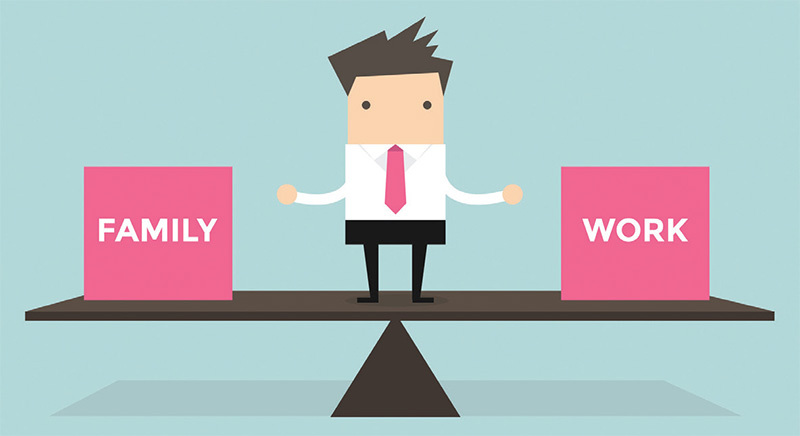 Talk about setting priorities in your life – not just financial and corporate, but also on a personal level. We all have specific goals in life for our children, finances, health, marriage, business, charitable giving, hours spent serving and vacation time spent with family and friends. And in the effort to achieve all those goals there must be a balance; spend all your time on one and you will lose the others. And, I would suggest, there must be a constant shifting and readjustment as time marches on. I was recently sitting in a board room with a bunch of our industry’s most successful leaders; owners and senior executives from a wide variety of companies. During one of the breaks I was having a conversation with the guy next to me, who travels the world on a regular basis. But he wasn’t talking about his business or his travels. He was talking about his kids, and how important it was for him to balance his travel with being at home with his wife and kids. How he made every effort to not miss those key dates–the soccer tournaments, violin recitals, anniversaries. What a stark contrast to that first guy. The very notion of success is extremely personal; it’s unique to each one of us. I can’t possibly define success for you, or you for me. But I’d encourage you to focus much less on the ladder, the rungs on the ladder or the climb toward the top, and much more on the wall you’re leaning it against. And if I can do anything to help my kids understand that concept at this early stage of their professional lives, I think that would be a good thing. Pick the right wall. See you on the show floor. Jim Obermeyer has been in the tradeshow industry 35 years, both as a corporate trade show manager and exhibit house owner. He is currently a vice president at Hamilton Exhibits and can be reached at jobermeyer@hamilton-exhibits.com. As featured in Exhibit City News, Hamilton celebrates 70 years! Power Ranger - Muncie Power Products featured in Exhibitor Magazine! 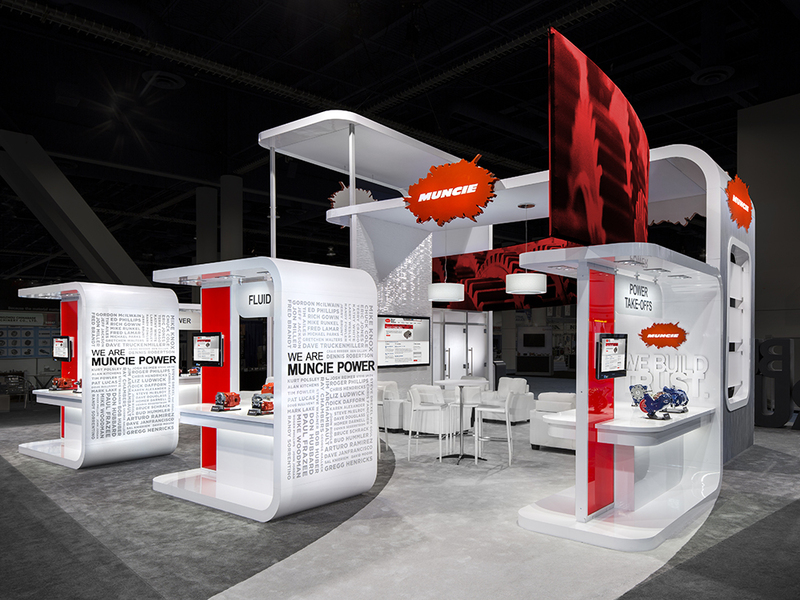 For the ConExpo-Con/Agg show, Muncie Power Products Inc. wanted its booth to project a clean, sophisticated look and offer product displays that attendees would clearly see from a distance and easily experience up close. Joining forces with Hamilton Exhibits, the Muncie, IN, manufacturer of hydraulic components created a booth as sleek and functional as its industrial tools.